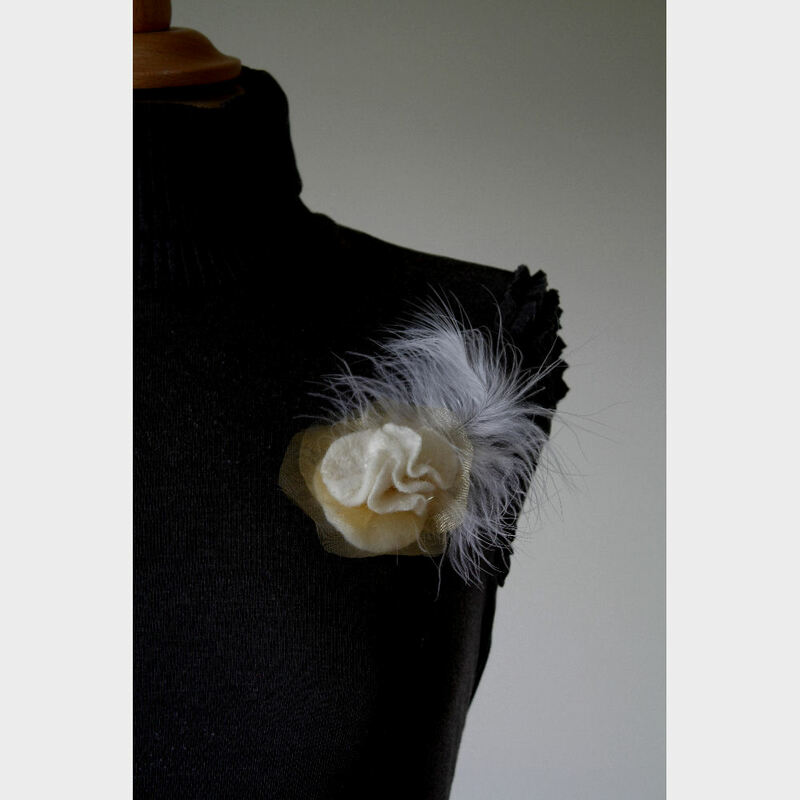 Bridal Boutique Felt Corsage “Ruffled Feathers” Hand made, one off felt flower corsage in cream and pale gold. The felt is fine and as such has a wonderful ruffled quality from where this piece takes its name. Decorated with very pale gold crystal organza, seed beads and one large cream feather. 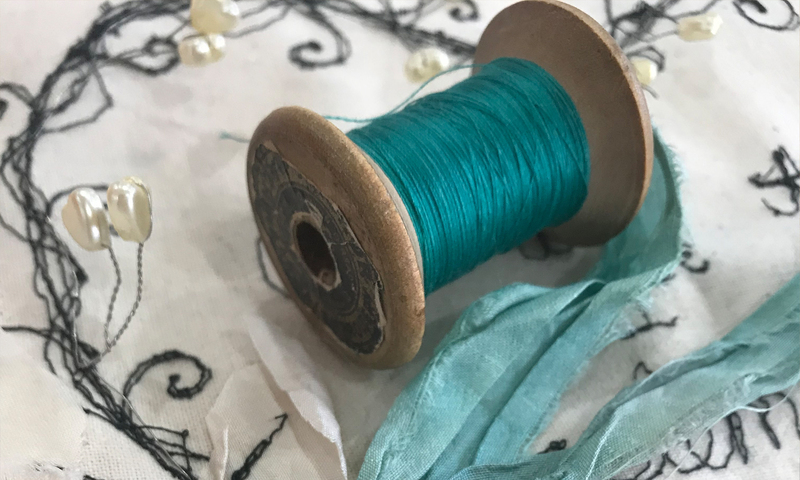 A perfect wedding buttonhole and a keepsake of a special day. Approximate size including feather 12cm x 8cm. Product code – FC ND BB RF 092011.